Mount Everest is not the tallest mountain in the world. Not by far. It sits on the Himalayan plateau, which is pretty high itself. With 8,848 meters above sea level, mount Everest is the highest mountain in the world, but not the tallest if you start counting from its base. That record is held by the Hawaii volcanoes, Mauna Kea rising 10,203 meters from the seafloor, followed closely my Mauna Loa, a few meters lower but the largest mountain in area and volume of rock. And in Hawaii we should go, because I cannot make a series on mountains and forget the mountains of paradise. Hawaii has special significance for an astronomer, because it is the site of the largest telescopes in the norther hemisphere. For obvious reasons: why would you go anywhere else if you can get a free trip to Hawaii? Just kidding. The real reason for placing gigantic mirrors on the top of the Hawaii volcanoes is precisely their height: the highest the mountain, the less air is overhead, ruining your observations. Why not going to the Himalayas, then? Because of humidity. It turns out that the Himalayan chain is still subjected to heavy precipitations from the monsoons raising from the Indian Ocean (these are snow-capped mountains), while the volcanoes of Hawaii are above the local inversion layer. 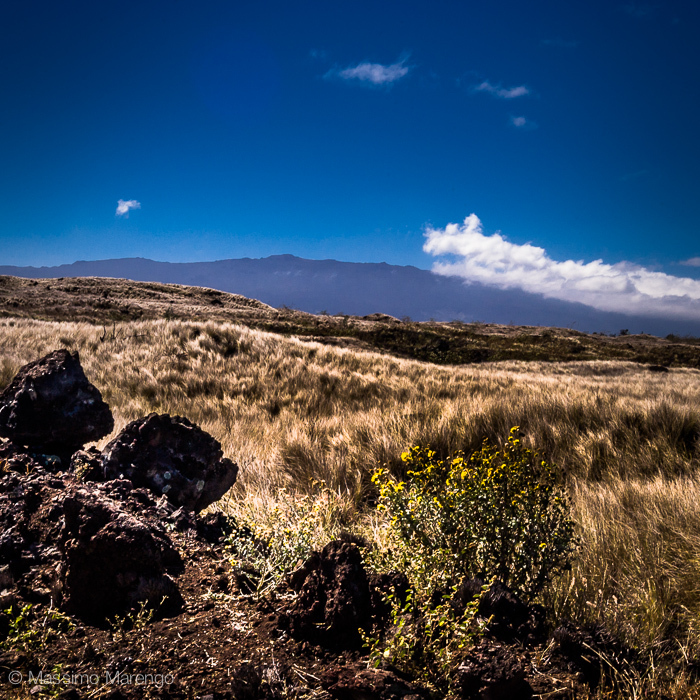 Even though in Hawaii it rains every day, the humidity stays at lower elevation, and the summit of the volcanoes is bone dry. No humidity means no rain days and, most importantly, a very transparent and stable atmosphere. The only other comparable sites on Earth for elevation and dryness are the high plateau of northern Chile (we will go there, photographically, a little later) and Antarctica, which is covered by 3,000 meters of ice (and has very low humidity, as all water vapor is frozen). I have been several time at the Mauna Kea observatory: I did a large part of the astronomical observations for my Ph.D. thesis up there. At that time, however, I didn't have any digital camera (hey, that was still in the last millennium), so the photos in this post are more recent, taken when I was visiting Hawaii for a conference. All images show Mauna Loa, the volcano whose eruptions created most of the land in the Big Island of Hawaii. It is a shield volcano, and as such it has the gentle sloping flanks that can be seen in the large image on top. Gentle volcano is not, however. Since the first recorded eruption in 1843, the volcano has erupted 32 times. The 1935 eruption, in particular, caused grave concern as the lava flow started to move towards Hilo, the main city on the island, George S. Patton (of WWII fame) was tasked to save the city by trying to divert the lava flow by throwing bombs at it: he did so on December 27 of that year, and by January 2 the lava flow was stopped. While the operation was declared a resounding success, it is unclear if the bombing had any effect, and geologists think that the lava stopped only because the volcano decided so. The last eruption happened in 1950, with a single day event in 1984, when a narrow lava flow descended again towards Hilo, illuminating the city at night but stopping before causing any damage. 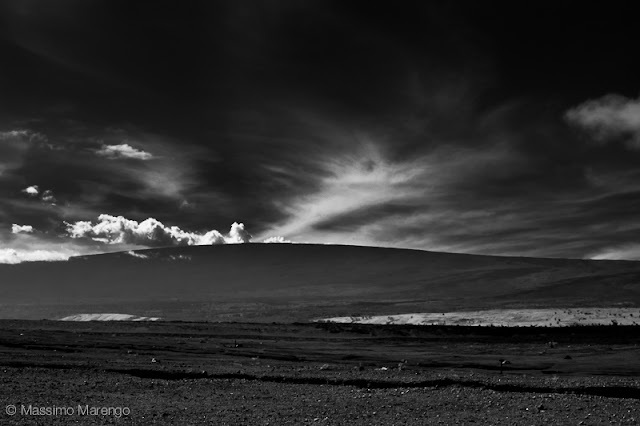 Since then the volcano has been inactive, the longest period of quiescence in its recorded history.